SLeven F. Sage reveals that long before the Final Solution, three dramas by the Norwegian playwright Henrik Ibsen powerfully influenced Hitler's vision. 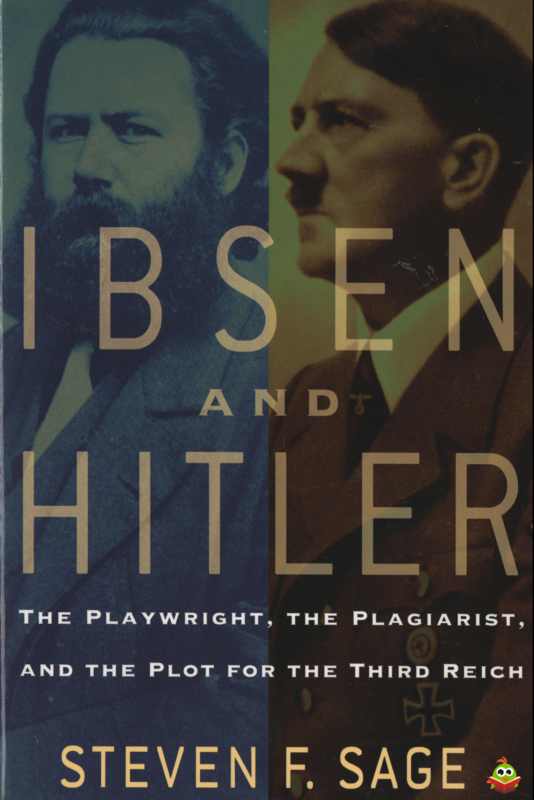 Swayed by German cultists hailing him as a reborn Ibsen hero come to found the "Third Reich" foretold in Ibsen's play, Hitler cribbed phrases, metaphors, themes, and plots from the playwright's work. 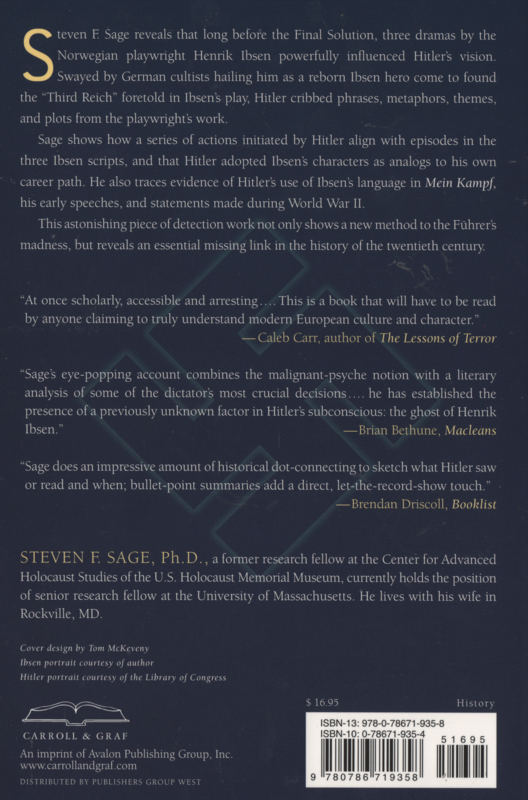 Sage shows how a series of actions initiated by Hitler align with episodes in the three Ibsen scripts, and that Hitler adopted Ibsen's characters as analogs to his own career path. He also traces evidence of Hitler's use of Ibsen's language in Mein Kampf, his early speeches, and statements made during World War II. This astonishing piece of detection work not only shows a new method to the Fahrer's madness, but reveals an essential missing link in the history of the twentieth century. Boek oogt ongelezen. Er is niet in geschreven of gevouwen. Geen breuklijn op de rug. Kaft kiert en iets gekneusde kaftpuntjes.